← Currie’s calling the music track for #dys139 — neener, neener! Let’s say that it takes you exactly one minute to read through this post. In that time, over 6,600 photos will be uploaded to Flickr, about 70 new domains will be registered, over 1,200 new ads will be created on Craigslist, and more. 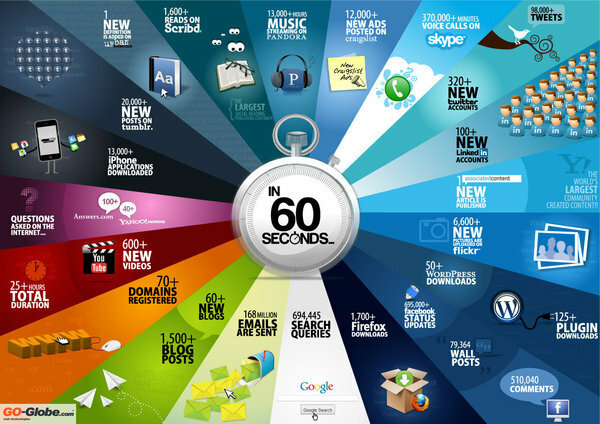 Here’s what happens on the Internet every 60 seconds. … And here’s what really happens. For more enlightenment join us for #dys139, recording live Wednesday or Thursday this week.